From the Leases page, find the Lease you want to end and click its Details link. Then click the End this Lease link at the top of the page. 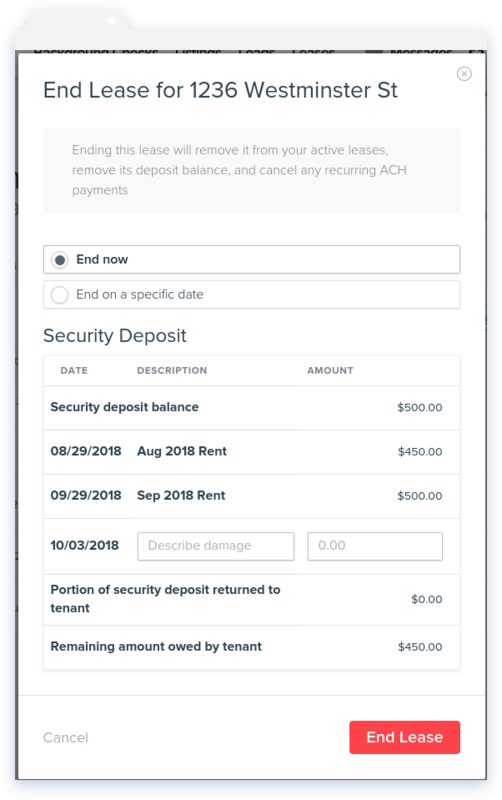 If there are outstanding charges (such as the unpaid August and September rent shown below) the security deposit will go towards paying them. 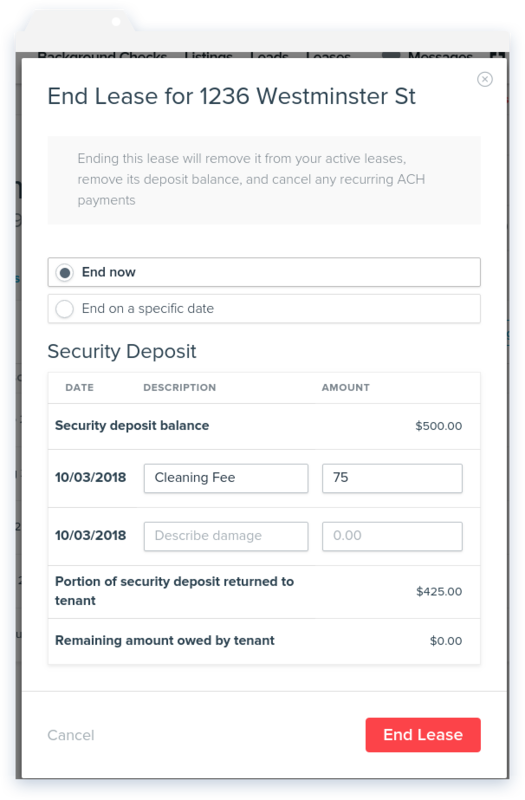 The ending balance is calculated, and it will show how much of the security deposit should be returned to the tenant, or whether the tenant still has outstanding charges. 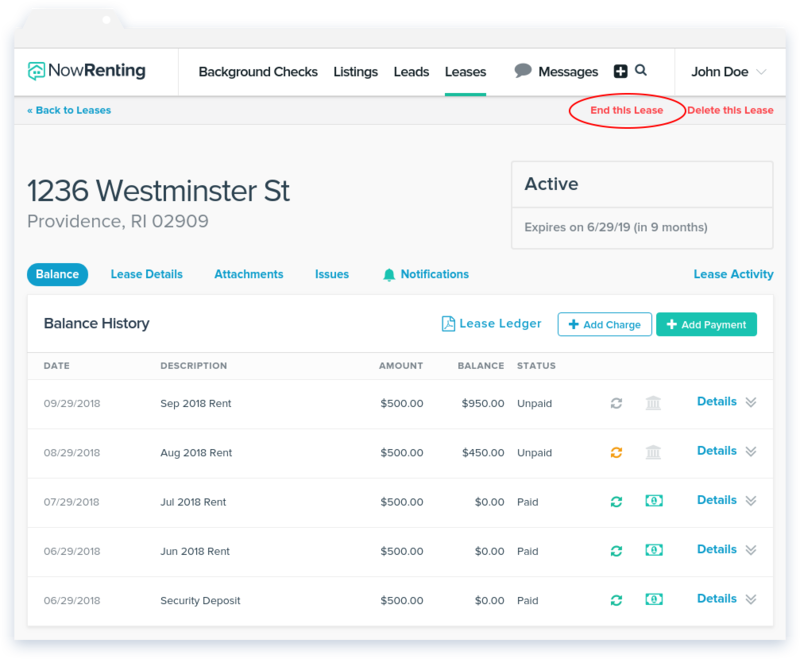 To schedule the Lease to end on a particular date, select the End on a specific date option, then select a date from the calendar. If necessary, you can add any last charges here, such as fees for damages or cleaning, and they will be subtracted from the security deposit.